Shockingly low ratings for TVNZ 2’s first Friday night broadcast of FIH Pro League Hockey have prompted TVNZ to switch the rest of the competition to Duke. This week’s coverage will screen from 5.00 on Duke, pushing back the movie Hudson Hawk to 8.45 and South Park to 10.45. TVNZ 2, meanwhile, will replace the hockey with re-runs of The Simpsons, The Middle and The Big Bang Theory as well as Neighbours and the movie Sister Act, which will delay the start of Mission: Impossible – Ghost Protocol to 8.55. 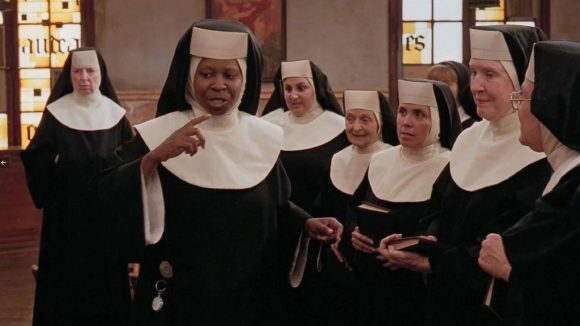 The same line-up will apply February 15, but with the movie Sister Act 2 (both the original and the sequel will air in HD). TVNZ made the last-minute changes after Friday’s coverage scored abysmally for TVNZ 2, with the 7.00-8.15 telecast averaging only 1.1% of 18-49 year-olds and 1.0% of 25-54 year-olds. TVNZ 1’s Love Your Garden drew three times as many 25-54 viewers and twice as many 18-49 viewers. Hockey lead-out Mission: Impossible 3 went on to win the second half of its slot but by then Three’s The Graham Norton Show and 7 Days had dominated the 8.00-9.45 period. However, new 7 Days stablemate, All Aussie Adventures, drew shed more than half of the panel show’s 18-49 and 25-54 viewers, allowing M:I3 to forge ahead. So dire was viewership of TVNZ 2’s hockey coverage that the network’s primetime share of key demographics sunk to single digits while TVNZ 1 won the night with 20.4% of 25-54s and Three commanded the rest of the core commercial demographics with 18.6% – 24.1% shares. Uhoh. If people don’t want to watch it prime time in HD for free, how many will want to pay for it? HockeyNZ will be laughing all the way to the bank for Spark’s 4yr cheque. Spark investors … not so much. It was a bit odd that TVNZ thought it would work in primetime at all. It’s not the Olympics where anything gets a free pass in primetime or even the Commonwealth Games. Hockey is a niche sport (I love it but I know that) and should have been on Duke from the get-go or streaming on TVNZ On-demand until Spark took over the rights. As Mike mentions, worrying signs for Spark’s subscription service to an extent although I suspect RWC and EPL will be much bigger drivers of subs. With the hockey going, perhaps The Simpsons season 344 (I kid), night start a week earlier? Why was the hockey ever put on TV2 in the first place? Duke is their sporty channel after all. Poor advertising from NZ Hockey, no promotion at all of the TVNZ broadcasts. So it’s not surprising no one watched. TV2 actually promoted the hockey broadcasts quite a lot, I saw the promo ads many times. It’s a Spark property and it wants people pay for hockey on its [still to be launched] streaming service so you’d think the blame lies with Spark. It’s free content for TVNZ, who are doing the ill-prepared Spark a favour by showing the hockey. And HockeyNZ already has the cheque which won’t change if more or less people watch so don’t give a rats. There has been plenty of print and digital promotion to sell tickets. Will anyone watch the Formula 1 on Spark, if no one knows about it? Or the other sports on Spark? Is it the sports body’s role to promote or the rights owner? My opinion, and evidence over past years, is the broadcaster.